The SCOTT DH Factory partners with FOX Suspension, MAXXIS Tires, TRP Brakes/Drivetrain, Syncros components and SCOTT Eyewear. Further support is provided by Mavic, Monkey’s Sauce, CYRPEO, Pedros, CrankBrothers, ODI, Race Face, Novyparts and HXR Components. 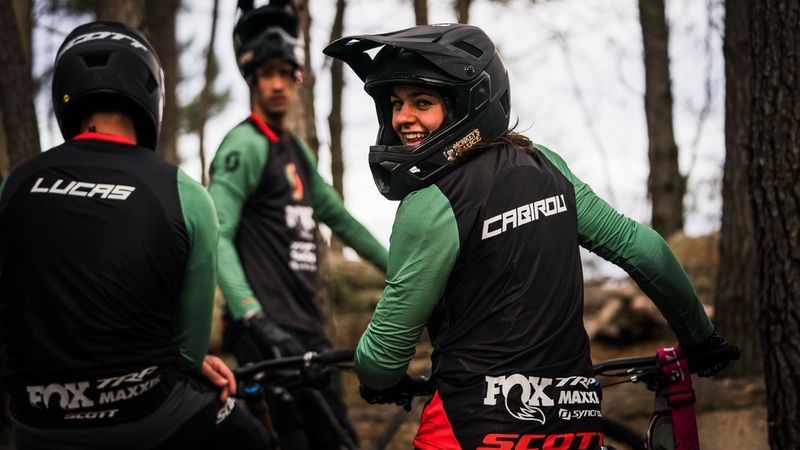 Managed by Patrice Afflatet, the SCOTT DH Factory team is: Dean Lucas, Brendan Fairclough, Marine Cabirou and Flo Payet. Managing the SCOTT DH Factory is Patrice Afflatet. Patrice has been a key figure on the World Cup Circuit for a number of years. He said, “I am excited about the opportunity and the trust that SCOTT and the other partners have put in us. It is a challenging project, but I am sure we will be able to express ourselves at the highest level. Julian Wagner, MTB Marketing Manager at SCOTT Sports, said “The team here at SCOTT just can’t wait for the World Cup season to begin. It will be an exciting year across for all of our mountain bike race teams. We’re very happy to be continuing with Brendan, and to be welcoming Dean, Marine and Flo.